The crises that characterized the conduct of all the primaries of the All progressives Congress, (APC), to produce governorship, national assembly and state assemblies candidates for the scheduled 2019 election should worry all lovers of democracy in Nigeria and beyond. It is at best a mockery of party democratic processes in the country. Not even the magnitude of the so-called zero tolerance for corruption by the superintending presidency of Muhammadu Buhari could rein the party in to ensure and defend the integrity of the nomination process. Reports of protests and disapprovals from the different states before and after the primaries indicated that all is not well. Although different political groups and even political leaders across the board have expressed optimism that the protests and disagreements are part of a genuine democratic process, the development has further heightened the fears of Nigerians that the 2019 general election may not be free, fair and credible after all, judging by the desperation that various interest groups within the governing party employed in securing their tickets for the respective elective offices. The fear being expressed in some circles is that if the APC could do this to people within its own fold, it would certainly do more to the opposition political parties’ candidates in the 2019 general election. The conduct of Zamfara state primaries, especially for the governorship position is a sour point in APC democratic question. Fingers of guilt are already been pointed at the national chairman of the APC, Comrade Adams Oshiomhole for conducting and supervising primary elections that were shoddy, insincere and laced with biases. Governors, ministers and legislators across the country largely unhappy with the conduct and outcomes of the primary elections have voiced their dissatisfaction. And in the case of Zamfara state, where the game plan by the NWC and some powerful individuals in Gusau and Abuja, to stop the incumbent governor Abdulaziz Yari from having a say in his successor, is particularly damning. Due process was reportedly violated, thus precipitating a rash of protests. Simply because the outcome of the election primary that produced Mr. Yari’s preferred candidate, Mukhtar Idris, who is the incumbent commissioner of finance, ran contrary to the interests of top APC stalwarts at the national secretariat, the Oshiomhole-led NWC is claiming to have annulled the primaries. Mr. Yari and the majority of the Zamfara APC members said they voted on October 3 and 4, 2018 to select candidates of their choice into the respective elective offices in the state and demand that the leadership of the APC NWC respect their choice. Sadly, those jostling to strangulate Zamfara state ahead of the 2019 general elections are saying otherwise. Yari and his supporters in Zamfara State have vehemently rejected the candidacy of multi-billionaire businessman-politician, Alhaji Lawan Dauda, who is the preferred candidate of the Abuja powerful political interest groups simply because he never participated in a legitimate primary conducted by the state APC. The governor is shouting on the roof top that the attempt to foist Mr. Dauda on Zamfara as the legitimate APC governorship candidate is a game plan by the national secretariat of the party to upturn an already conducted primary in the state in favour of Dauda, in an election primary that one is yet to know where it held. 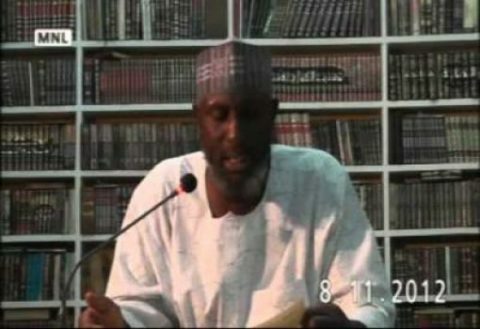 The annulment of the earlier primary and the announcement of another candidate who participated in ‘a ghost primary conducted by the NWC’ not only run contrary to the position of the Independent National Electoral Commission, (INEC), on timeline but also against the collective will of the Zamfara electorates. The fear being expressed by those against Idris is that they do not want Yari to determine the choice of his successor but the governor and his supporters across Zamfara on the other hand are alleging underhand deal by the NWC that is bent on fielding Dauda. 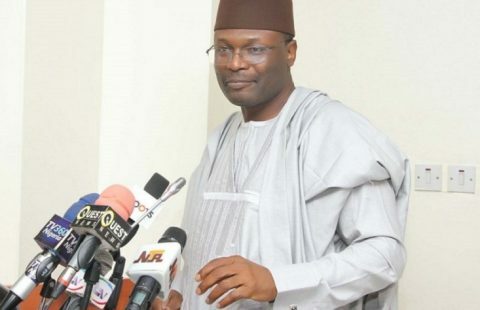 Although APC leadership had replied INEC on its claim of non-conduct of primary elections in Zamfara and the consequent forfeiture of all its elective positions into the governorship, national assembly and state legislature seats in 2019, the politics of intrigue and double dealing calls for serious investigation and matured handling. Going forward, attempts are being made by political leaders within and outside the state to find a common ground of resolving the crisis so that APC in Zamfara state would not completely loose out in electing candidates of their choice come 2019. As part of the way forward, the APC in the state have agreed to resolve the crises through consensus arrangement. There are however anxieties in the APC rank in the state that the consensus arrangement may not be honoured, as diehard Oshiomhole and the Abuja-base political interests are bent on having their way in the entire game plan. And the governor on his part has gone to court seeking the declaration of the initial primaries conducted in the presence of INEC. Political leaders in APC, especial President Buhari must step forward to call erring party officials to order irrespective of their positions. If this is not done, APC in Zamfara state and by extension at the national level should think twice before facing the 2019 general elections.